The world’s number one football star provided inspiration for some of China’s future talents. 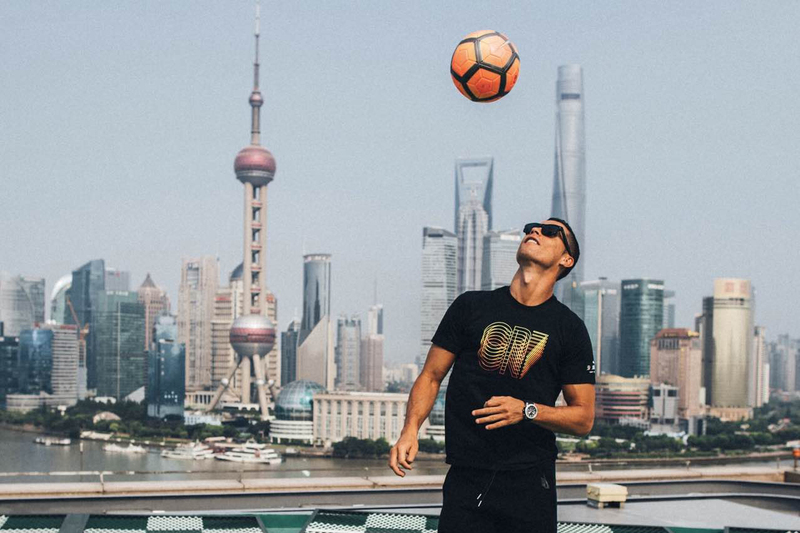 Football megastar, Cristiano Ronaldo touched down in China this week on his first individual tour, travelling through Shanghai and Beijing to experience first-hand the country’s thriving football scene and to meet with youngsters who are embracing the culture of the game. Linking up with Chinese Super League (CSL) stars along the way, the three-day tour saw the global athlete make a number of stops, including a visit to Nike’s Hauihai Store – that predictably led to hundreds of fans storming the entrance to get a photo with their hero – and drop-in on a CSL match between Shanghai SIPG and Guangzhou FC at the formers impressive Stadium. The Real Madrid legend later surprised some of China’s promising young players taking part in the Nike League finals. 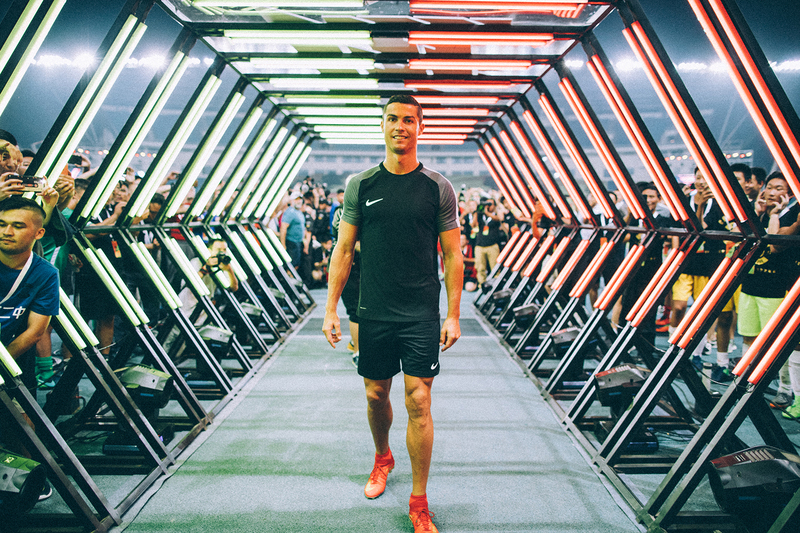 He presented his latest CR7 football boots to the winning teams and joined them for an intense training session. However, his activities weren’t entirely football related. On his third day, he met local graffiti artists in Beijing’s 798 district and tried his hand at some street art before stopping by the local museum for a tour of its football culture exhibit. The global superstar made the trip with Nike who have a history of grassroots efforts in the country, teaming up with China’s Ministry of Education in 2007 to create their first senior high football league stemming from the formation of a series of annual tournaments back in 1997. Nike also became the equipment supplier to the Chinese Super League in 2006 and kicked off a partnership with CSL in 2009. Since then, the CSL has taken off exponentially and motivated international superstars and Chinese players alike. 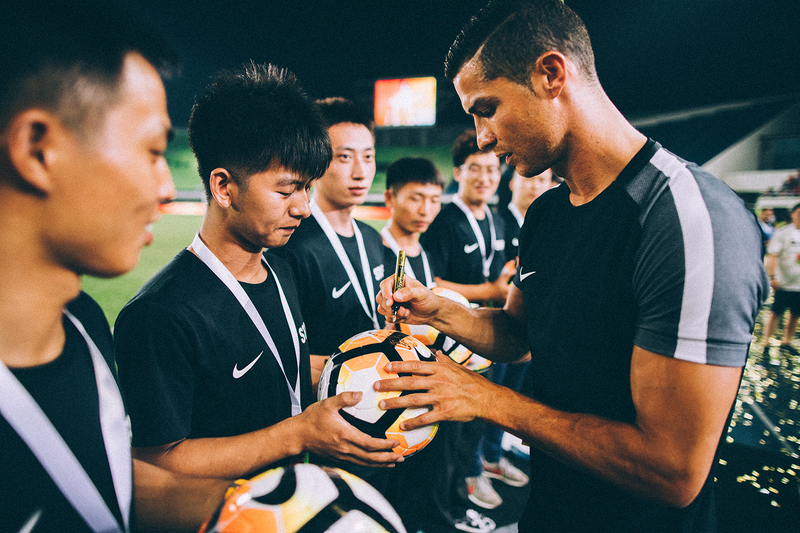 Working together to grow the game of football globally, Ronaldo’s visit to China with the brand only reinforces the country’s ever growing passion for the game and will hopefully awaken many emerging talents. Head over to nike.com to shop CR7’s boots and looks now. A first look at the new collaborative model. The Switch is a success. Skrillex Unveils New Summer Anthem, "Would You Ever"
Featuring triple-platinum singer/songwriter, Poo Bear. A new twist for the horror genre. Slide in the DMs no more. A conversation with Keith Ape & G-Dragon’s album artist.